When it comes to decorating your rental property, sometimes it can be difficult to know where to spend your budget, as you may be weary of things being broken or worn with the turnover of tenants. While we wouldn’t recommend going for a high-spec finish, or buying top-of-the-range fixtures and fittings, as there will be more wear and tear in a rented property than a private home. We also wouldn’t go for the cheapest options, as you want to attract a good-quality tenant that will likely demand a certain finish. Here, are some of our top tips for landlord's decorating a rental property. These should help you make the right decisions when you want to start revamping your property. Try to not get personal when decorating your rental property. Neutral colours and a common, consistent theme are always a safe option for majority of tenants . Even though white walls may get dirty more quickly than darker walls, you can always be sure to find a tin of bright white paint when you need to freshen up the interiors between tenancies. While an all-white bathroom gives the impression of a bright, clean space, look closely and you’ll perhaps find that’s not the case. Opt for beige tiles and grouting if your budget allows it, as the lifespan of a non-white bathroom can be greater. It’s very common to reseal around sinks and shower trays at the end of a tenancy, as black mould can form easily in these areas and especially in damper period properties. Make sure you factor in a small budget to do any resealing before each new tenancy, as it’s cheap and easy to do and shows the tenant that you care about your property, perhaps making them take more care too. As a landlord, you’ve probably already had to deal with damaged carpets and floors in your rental property, as it’s a very common problem that arises in the majority of tenancies. To minimise the need to buy a new carpet every time something gets spilt or dropped, it’s advisable to go for a short dark beige carpet, as they’re easier to clean; the shorter the pile, the easier it is to get stains out. While a dark blue, or even black carpet would be the most practical in terms of staining, no one wants to see them in a property, so we suggest sticking to neutral beige carpets that will please most tenants. It’s also a good idea to opt for wood floors in downstairs rooms, or at least in the kitchen and dining room, as this is where most accidents happen. 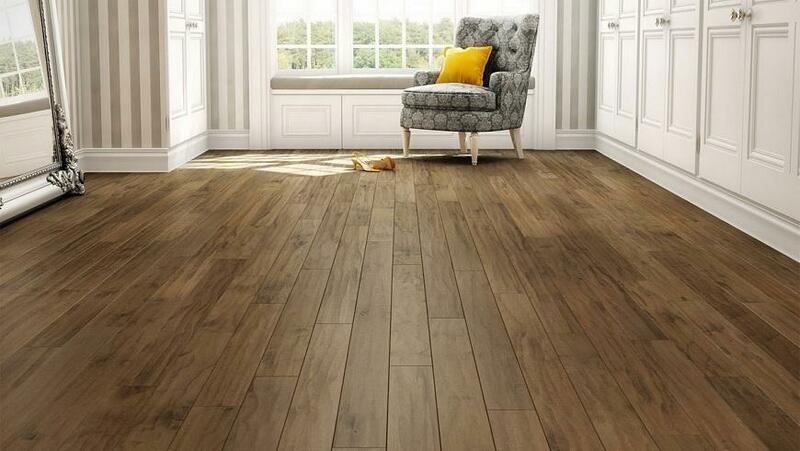 You can now pick up attractive, good quality alternatives to expensive solid wood flooring so that you don’t need to spend a fortune to make sure your rental property is tenant proof. If you do decide to furnish your rental property then the furniture you add must be good quality and fairly new; shabby, old fashioned furniture will not help you case. Always remember that any furniture you bring into the property must comply with fire safety regulations. If you rental property looks great and is of a really high quality, although this will have initially cost you money, it will lead to a higher calibre of potential tenants, of which you can choose the very best. Reliable, responsible tenants who are happy with their living arrangements are more likely to stay, minimising the time your property is left empty.